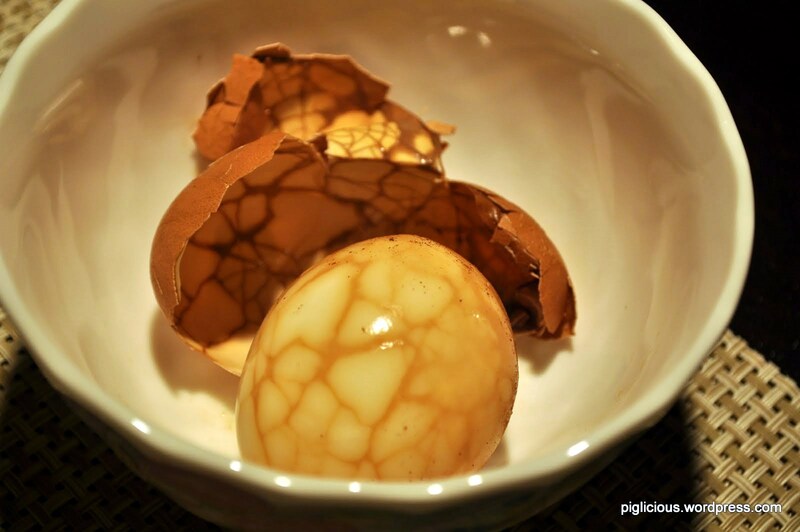 Recently, I’ve started making these delicious taiwanese tea eggs. They’re cheap, low maintenance cooking, and good for anytime of the day. 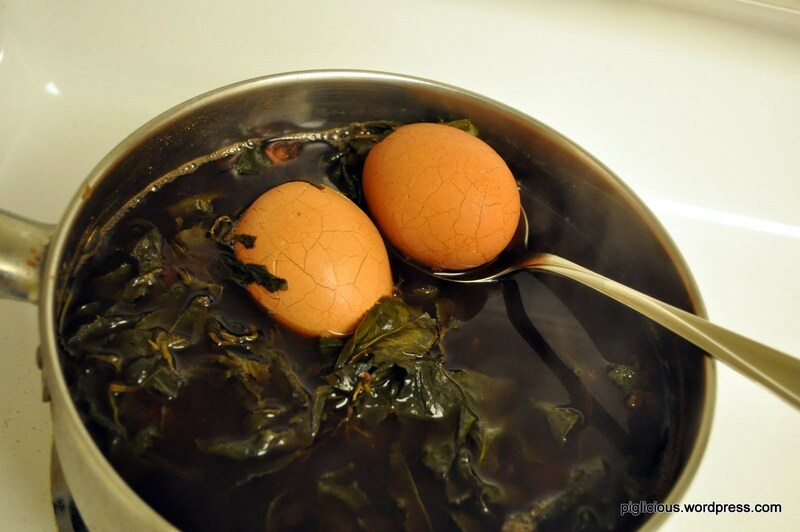 Boil the eggs in a water bath that barely covers the eggs for about 10 minutes. Put the eggs in the pot first, then pour the water in. (This prevents the eggs from cracking if you drop them in the water instead). 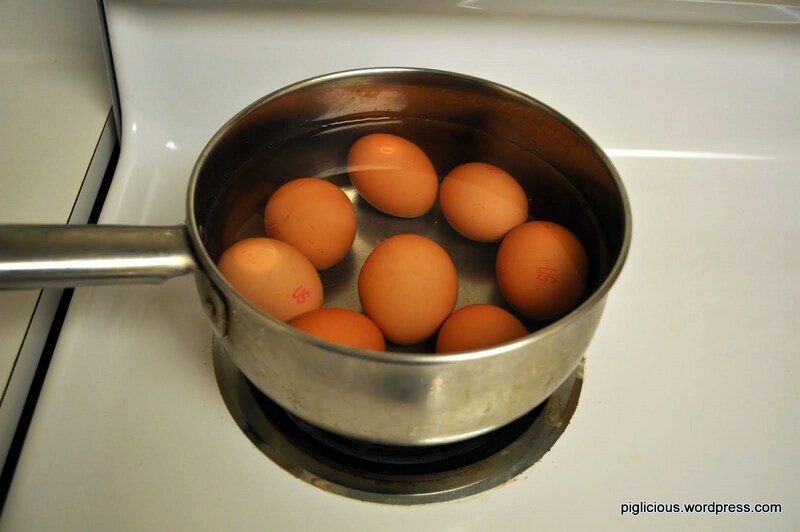 Scoop out the eggs into a bowl and run/wash them through cold water. Wait about 15 minutes for them to cool down. Take the back of a spoon and crack the shell, all around, for each egg. Do NOT remove the shells from the eggs. Put all the ingredients in the pot (preferably a smaller girth pot that’ll fit the eggs just right because you want the bath to cover all the eggs almost completely). Stir the bath and bring the temperature to high. When the bath is almost at its boiling point, place the cracked eggs in the bath. Once it reaches the boiling point, turn the temperature down to medium-medium low, so that it reaches a low simmer. Eventually, the temperature would be at medium low-low. For best results, simmer the eggs for 3-4hrs. Drain the flavor bath. Enjoy it hot or cold! This recipe is just my version of making it. 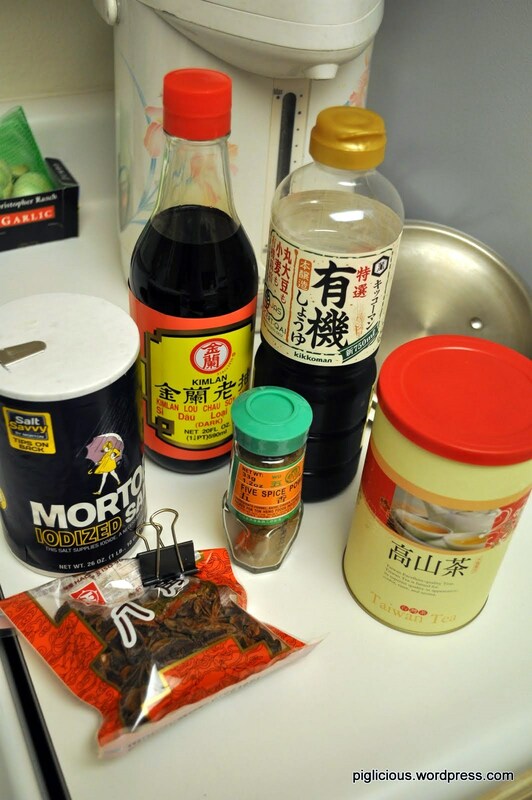 I’ve heard that some people use cinnamon sticks instead of five spice powder and some even add a little coca cola (so-called secret ingredient) in their flavor bath. It’s all based on personal preference. If you think you’d like a more cinnamon flavor or a tint of sweet flavor (coca cola), then you should try that out! Awesome recipe piglicious! Can’t wait for the next one! !